As part of the “Picturing the South” initiative at the High Museum of Art, more than 60 new photographs by Mark Steinmetz debuted on March 3. 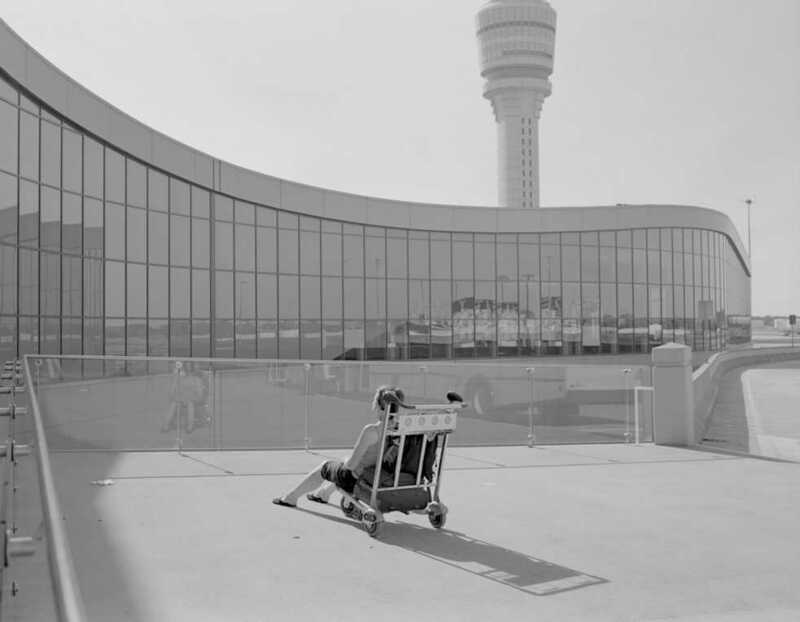 Focused on the Hartsfield-Jackson International Airport and flight, the “Mark Steinmetz: Terminus” exhibit is on view through June 3 in the lower level of the Wieland Pavilion. Started in 1996, the High’s “Picturing the South” initiative asks distinguished photographers to capture the American South. Over the years, these photographers have explored themes from Atlanta’s nightlife to Mississippi River landscapes and their work has built the photography collection of the High, which has over 7,000 prints. Steinmetz chose to focus on Atlanta’s airport, the busiest in the world, as it has been a longstanding interest of his. “It’s an exciting place with lots going on, and I always love the way planes look in flight,” Steinmetz said. The exhibit includes many different points of view from portraits of passengers to landscapes of the airport, the surrounding areas and views of and from planes. Steinmetz, who lives in Athens, Ga., is no stranger to photographing the South. In 1994, he was awarded a Guggenheim Fellowship to photograph the region. His first book on the South, released in 2007, is titled “South Central” after South Central Bell in Tennessee. Many of that book’s photos dealt with pay phones, and later work covered cell towers. Besides the change in phones, he has documented how “the scale of things has changed” with the expansion of Atlanta and the modernization of the South. His third book about the region, “Greater Atlanta,” focuses more on fossil fuels and “consumption-based society.” While identifying how his experience as a Southerner influences his work is difficult — “like a fish swimming in water” — he likes the openness and friendliness of people here. This project differs from previous work because of the variety of photographic styles Steinmetz employs. The photos of condensation trails in daytime and light trails of planes at night are abstract and more vague, while portraits explore more intimate moments in the airport like an embracing older couple or a young boy staring out the window at a gate. In nearly all of his work, Steinmetz makes grayscale prints. In the digital age, when everyone with a smartphone calls themselves a photographer, Steinmetz said that the means of distribution have not changed his personal trajectory; he still works in the darkroom. Speaking on these self-declared cell phone photographers, “they’re just taking photos, but I don’t think they really understand the language of photography or what photographs can be about, what they can mean. I think photography can be a kind of literature. Most cell phone stuff is more like candy,” Steinmetz said. digital camera are just tools, and really the main thing is the imagination, the mind behind it all,” Steinmetz added. Broadly speaking, he is interested in “learning about life and looking around at my time and documenting it.” As for his future work, Steinmetz is currently juggling multiple projects, including photographing his baby, his neighborhood and his travels.